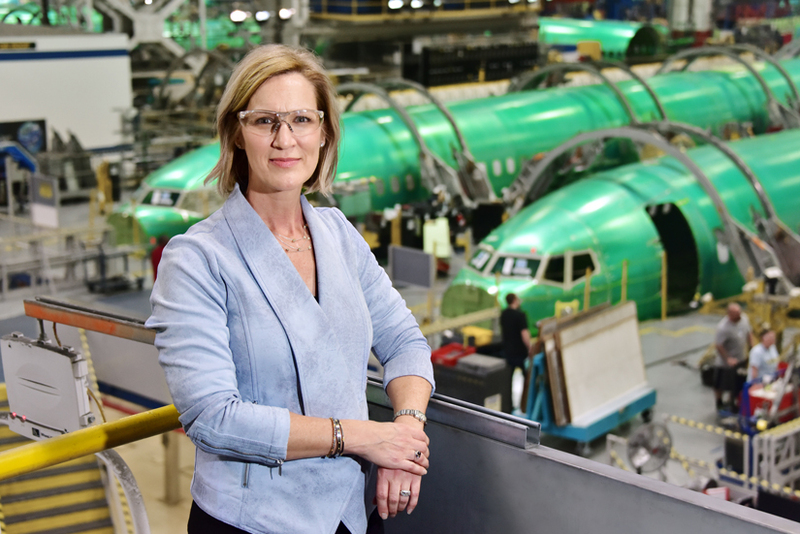 Today, she puts that wonder to use as senior vice president, general counsel, chief compliance officer, and corporate secretary of Spirit AeroSystems. There, engineers design and execute some of the world’s most elaborate aerostructures, including the entire fuselage for the Boeing 737. And, before joining Spirit in 2016, she served as an associate general counsel at Southwest Airlines. With every position, Cozad has not only had to dig into every corner of her given industry but also refine her own leadership style. New responsibilities call for new strategies, after all, and Cozad’s duties have run the gamut from contracts and compliance to acquisitions and enterprise risk management. “It brought new meaning and awareness for me of the phrase ‘drinking from a fire hose,’” she says of her ever-expanding duties. Below, Cozad speaks on her journey from Southwest to Spirit—as well as how the latter’s “new values journey” has helped her enhance her leadership approach further. It seems change has been a constant in your career. I don’t know whether I chose the litigation route because I liked constant change and learning or whether instead I learned to like change and learning because I chose to be a litigator. Either way, critical to my ability to be effective in litigation was my ability to learn new things and actually enjoy it. I had no idea then that I was preparing myself for my in-house career and eventually a Fortune 500 general counsel role. I can’t tell you I have that all figured out yet, because I don’t. What I do know is that any good general counsel has to be adaptable, open to learning, and willing to listen to anyone who is gracious enough to share their experiences. What all did you take on when you joined Spirit? When I was hired as general counsel, Spirit’s then-CEO, Larry Lawson, also asked me to lead the compliance team, which was a new passion I was developing before I left Southwest. 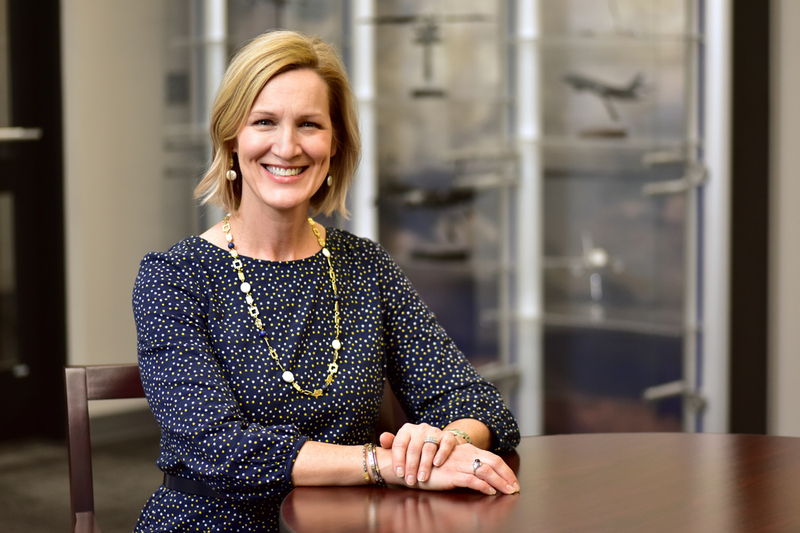 At the same time that I was learning how to be a general counsel and a member of an executive leadership team, I was also transitioning from a customer-service business to an aerospace and defense manufacturing business. Everything but the litigation and the regulatory environment was new. I took home stacks of binders every night as I learned about our business, our contracts with customers and suppliers, our unions, our global workforce, our governance, and our board. It was a near-vertical learning curve for quite a long time. Your first big career transition was in shifting to in-house work at Southwest. What new duties and concerns did you realize you would need to focus on that weren’t part of your work in private practice? As you would expect, most law firm litigators think like lawyers. When you work in-house, your focus has to shift from lawyer first to business person first. For some people, that’s an easy transition. For others, it may take longer. I was probably somewhere in the middle. What was an even bigger transition from law firm culture to working at a company like Southwest was the leadership side of the equation. I transitioned in-house at a time when even the best law firms were not spending much time developing lawyers as good leaders of people, focused on their employees’ personal growth and development. How did you begin developing your own approach to leadership? I learned a lot about leadership at Southwest, where there’s a strong people-first culture. It was a culture that really cultivated people’s individuality and creativity, even in the legal team, and everyone felt comfortable sharing their thoughts freely. I liked that, because I’m an outspoken person. Has working at Spirit helped evolve your leadership style? What does “speak out” mean from a leadership perspective? One of my favorite speakers and authors on leadership is Brene Brown, who’s all about authenticity, transparency, and vulnerability. Speaking out requires making yourself vulnerable. You’re putting your thoughts out there for people to criticize and pick apart. But, it’s only through sharing our thoughts and experiences that everyone learns together and builds a better airplane, a better business, and a better future. I’ve spent a lot of time helping my team to grow their ability to speak up in a way that is persuasive. One of the words you’ll hear me say with my team is “influence,” because the highest value I think a lawyer can have is his or her ability to influence a business decision in a way that helps the business achieve its goals. My team at Spirit regularly hears me say that my leadership of the team, including my commitment to their personal development, is the most important thing I do. Legility, a leader in Legal Operations, is honored to work with trailblazers such as Stacy Cozad. Since 2000, Legility has provided consulting, technology, managed solutions, and flexible legal talent-engagement services to corporations and law firms.